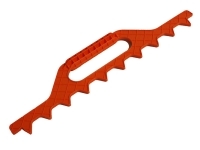 This tool spaces the frames evenly in the super (bee box ).It allows the bees to draw the comb more evenly, making it much easier to uncap. 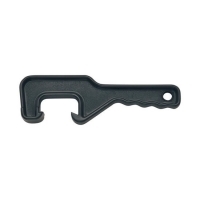 This Plastic Pail Opener makes it so easy to remove the lid on the 10,20,& 25 Ltr Pails. 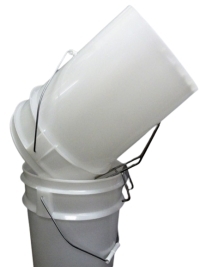 The Stainless Steel Pail Purch allows you to leave your bucket drain without having to stand and hold it. 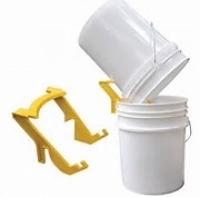 The Pail Purch allows you to leave your bucket drain without having to stand and hold it. 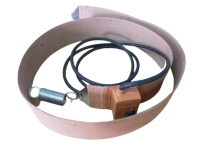 A woven belt, with a 240V heating element and adjustable control , clamps to the outside of a 44 gal (200 Ltr) drum. This product is designed to melt candied honey in a drum. 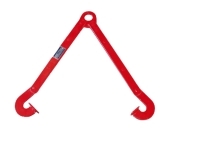 Designed to lift 200 Ltr (44 gallon) drums of honey. Engineered for the purpose and safety tested, this unit lets you safely handle full drums of honey.